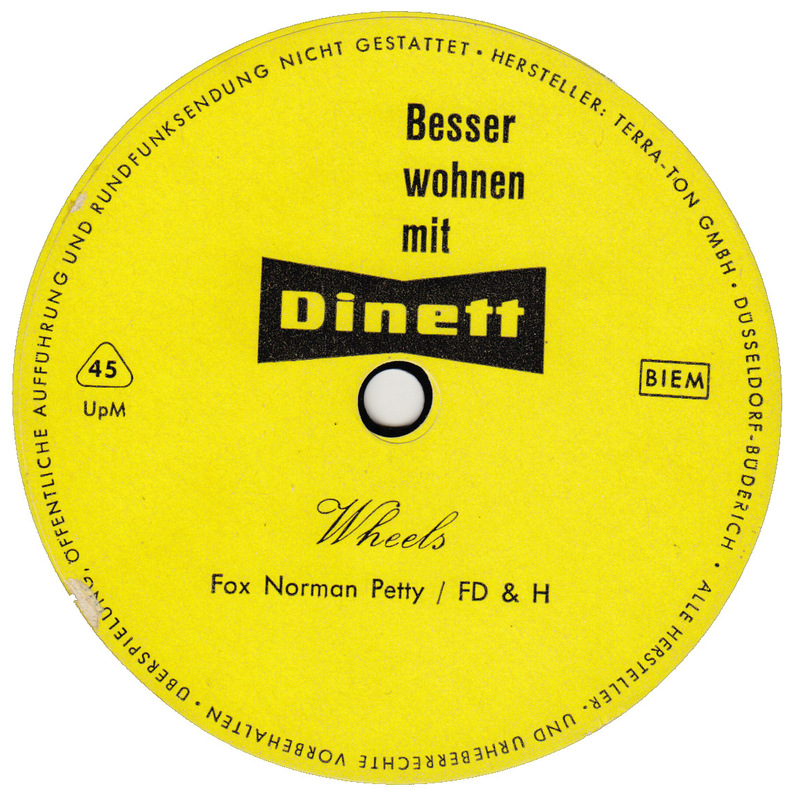 This flexible disc was produced as a gift to the sellers of the “Dinett” trolley table made by the furniture company Bremshey out of Solingen. Bremshey was a family business that operated from 1862 up to 1982. In 1932 they were the first to mass produce a small folding umbrella they named “Knirps” (scrub). 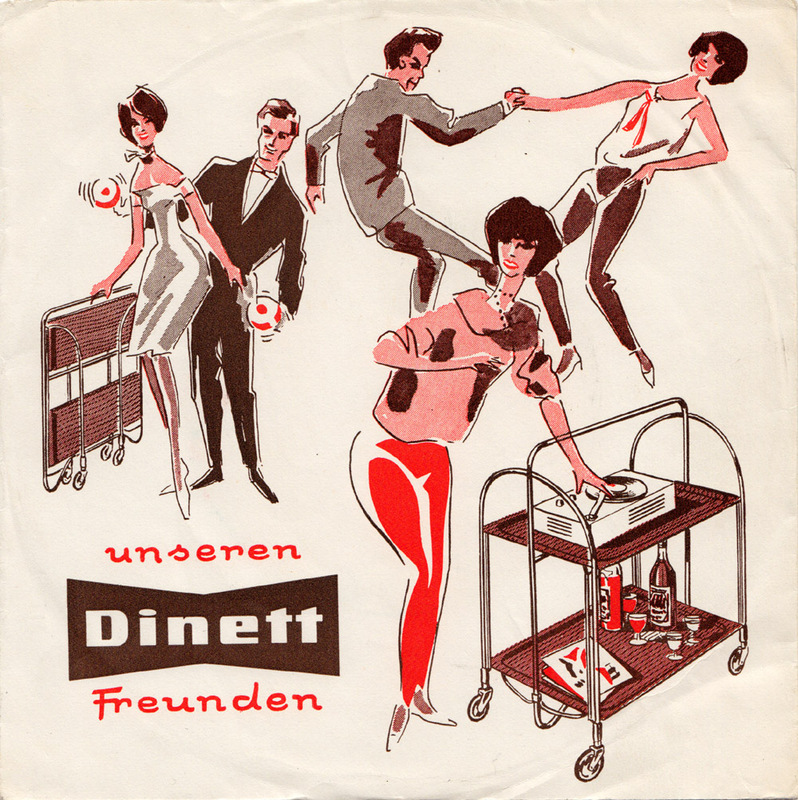 In the mid 50s Bremshey started to produce the rolling folding table “Dinett”. 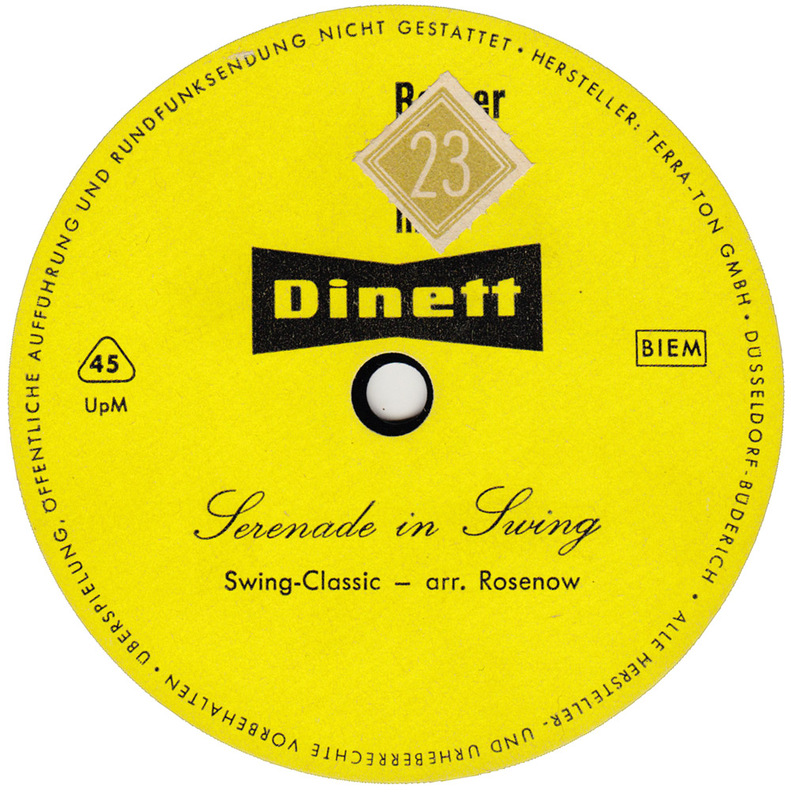 Besides the subtitle calling the song a “swing classic”, I couldn´t find any mention of a song called “Serenade in Swing” on the Internet. There is however a short music film from 1942 called “Serenade In Swing” starring Jan Savitt and his orchestra, Martha Tilton, Kenny Stevens and the vocal groups Six Hits and A Miss and the Rhythm Rascals. The first side is a cover version of the instrumental hit record “Wheels” by the String-A-Longs from Texas, interrupted three times (!) by the good wishes of the Bremshey company. Aside: contrary to what is written on the label, Norman Petty, who produced many of Buddy Holly´s records, did not write “Wheels” but only recorded it in his studio in Clovis, New Mexico. 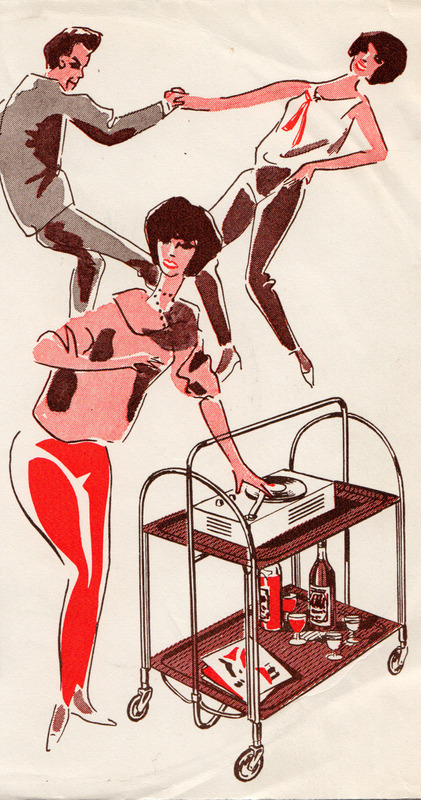 The company that produced this record no longer exists and the label does not even say who played on it or if the songs were even recorded by the same group. All public and commercial interest in it seems to have been abandoned 52 years ago. The Serenade in Swing is an adaption of Luigi Boccherini’s Menuet originally written for string quintet. Apart from this tune the composer is mostly forgotten today. To my knowledge it was not unusual in the 60’s to re-arrange classical melodies, also regarding the fact that these were free of royalties to composers or publishers. So it´s not a “swing classic” but a “swing arrangement of a classical piece”. No wonder I couldn´t find it. Thanks for solving that question. Glad educated people with some knowledge of classical music are also reading my stupid blog. Hermann Hoffmann, der Erfinder und Moderator beider Sendungen steckt übrigens auch hinter “Herman`s Studio Band” auf mindestens zwei der Teroson- Singles, von der Du ja auch eine gepostet hast. Vielen Dank für die Infos. Ich weiss meist nicht sehr viel über die Platten, die ich hier vorstelle, ist ja keine Wissenschaft, zumindest bin ich kein Popwissenschaftler und ich will auch gar keine Archiv sein für jede Information zu einer Platte oder einem Künstler. Ich sehe den Blog eher als erste Anlaufstelle. Es gibt offensichtlich noch sehr viele Lücken im Internet und ich werf nur gelegentlich Sachen da rein, um darauf hinzuweisen. Vor allem, um anzuregen vielleicht auch mal aufm Flohmarkt zu stöbern. Aber ich freue mich natürlich auf Besuch von Gleichgesinnten! Ich schick dir ne Mail.